Today, Microsoft released a new cumulative update for Windows 10 version 1809 (October 2018 Update) devices with tons of fixes. The direct download links for Windows 10 KB4469342 are also available (Windows 10 now available offline updates) and they are useful if you’re planning to update PCs manually. Windows 10 KB4469342 advances the computers running October 2018 Update to Build 17763.168. It’s worth noting that the same build was earlier released to the Insiders in the Release Preview Ring and you can now get it if you’re a non-Insider. Windows 10 Build 17763.168 has fixed tons of bugs including an issue where the brightness feature may not work properly. As always, there are two ways to download the cumulative update. You can simply head to the Settings -> Update & Security page and tap on check for updates button. If you’ve multiple PCs or if you’d like to update your device manually, the Build 17763.168 is also available from the Microsoft Update Catalog. 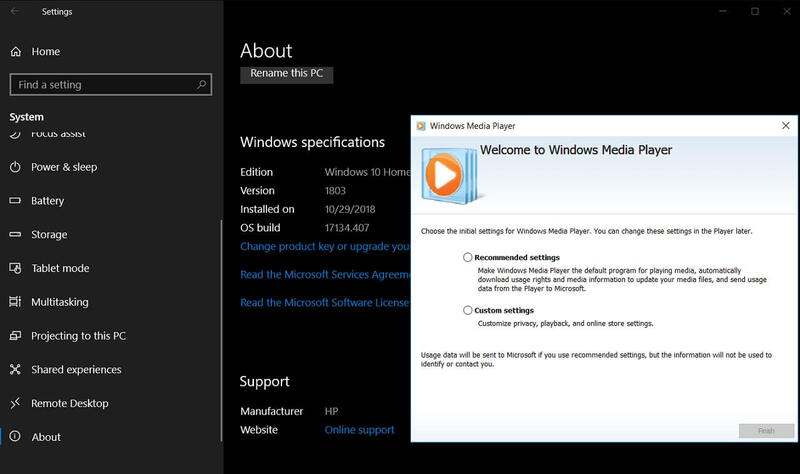 Windows 10 KB4469342 Direct Download Links: 32-bit (x86) and 64-bit. Microsoft has addressed issues with Edge where the browser may not work correctly when using the drag and drop feature. For example, if you use drag and drop feature to upload the file to OneDrive from the desktop, the upload may fail without any errors. The update has also fixed issues with Internet Explorer where the browser will work slowly if you use roaming profiles feature. The update includes a fix for time zone daylight standard time issue in Russia, Fiji and Morocco regions. Another bug where the display settings won’t work if you change the setup and configuration of a multi-monitor system has been fixed. This update also fixes an issue experienced by businesses where they will see a black screen when waking the display from sleep on some servers. Microsoft has also addressed a bug where the Camera app delays the photo shot in certain lighting conditions. Microsoft Edge has been updated to fix an issue where some content like Hulu TV may appear black in the browser. This update also includes fixes for the Bluetooth headsets where the devices may stop working after receiving audio input. Windows 10 Build 17763.168 has also fixed an issue where the system automatically reset the Brightness slider preference to 50% when the user reboots the device. This update finally fixes the File Association bug which bothered many users. The bug in the question causes the system to ask what to do with the files such as text whenever opened. After installing recent cumulative updates, the users reported a bug where they cannot set defaults for certain Win32 programs and file type combination if they do it via the Open with… command or Settings > Apps > Default apps. This update also includes the fix for a bug where mapped drivers may fail to reconnect. According to the changelog, the update has a bug where the Windows Media Player’s seek bar may not work properly. Microsoft is no longer developing new features for Windows Media Player but there are users who still use it. The Media Player has barely received any improvements in the last few years but it will continue to be part of future releases. The Media Player still works and you can play the media content but you may not be able to use the Seek Bar. Microsoft says that the fix will be deployed in mid-December 2018. If you use Nvidia graphics drivers, make sure it is up to date as there is an issue with older driver version where the Edge browser may crash or hang while play video.